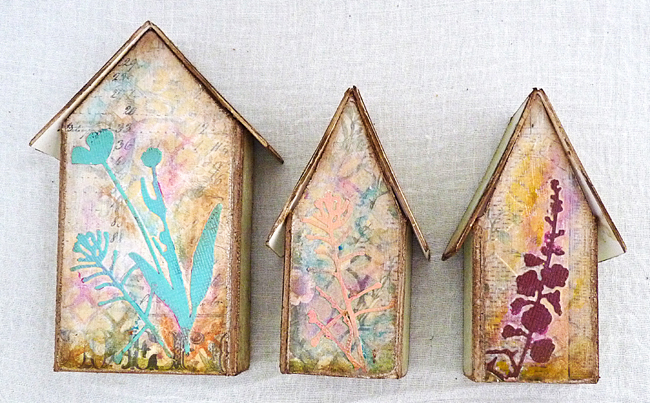 There is a brand new challenge at Country View Crafts today and the lovely Christine has chosen 'Inspired by Tim'. Now as you all know I love Tim's style and products and recently I purchased his Tiny Houses die and I just had to have a play. 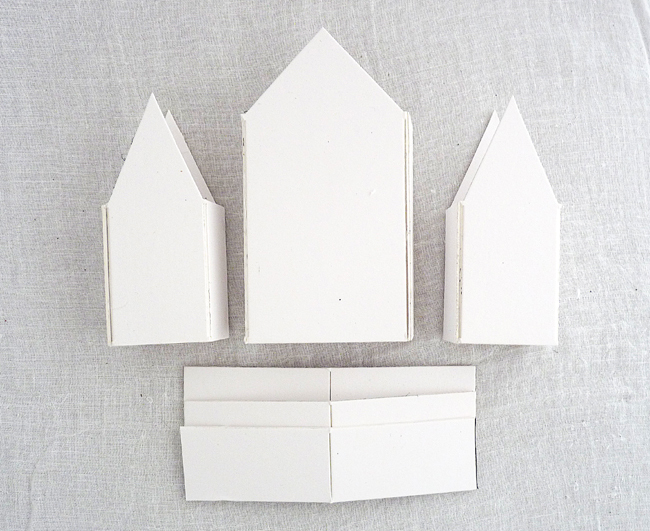 I began by cutting the pieces from mountboard. 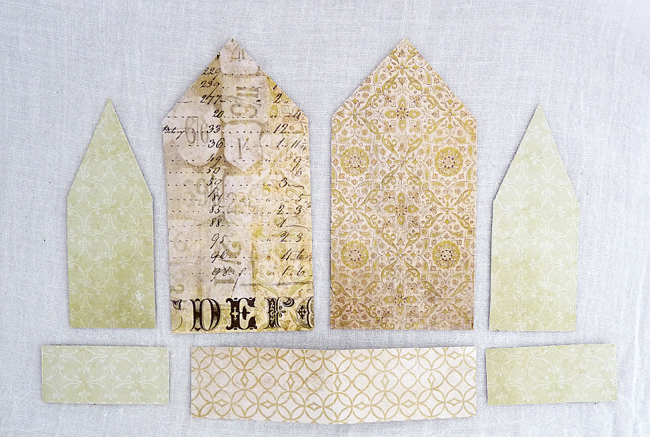 Then I used Tim's Wallflower papers to cut out individual pieces to adhere to the mountboard. 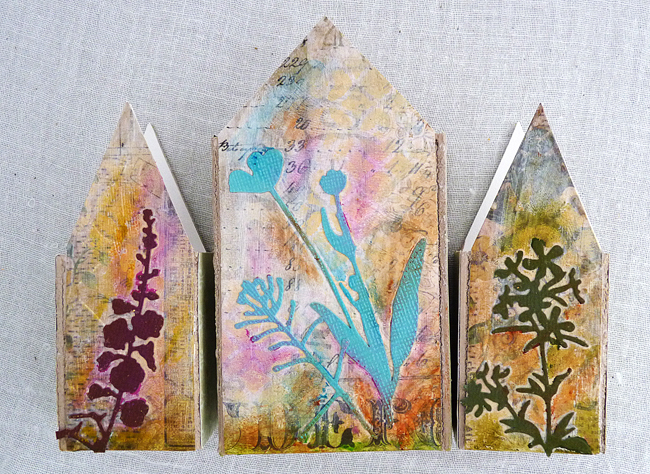 .... and decided to paint them using white tinting base and burnt umber media acrylic paint. 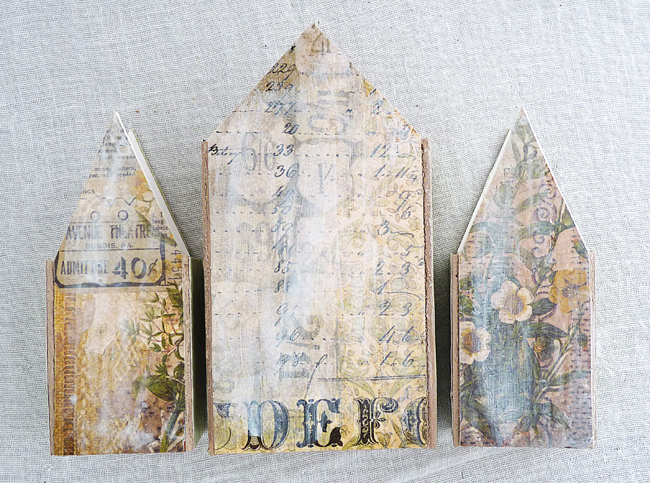 When it was all dry I adhered the pieces together, gave them a coat of decou-page on the surface and put them to one side for a couple of hours while I went for a walk waiting for them to dry out completely. 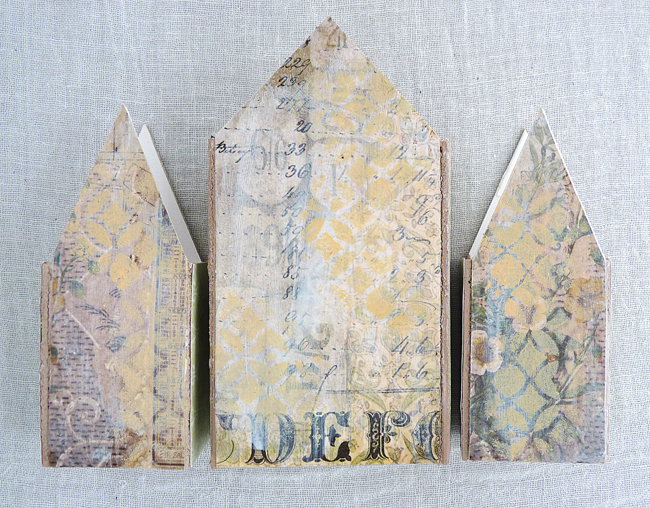 When I returned I spritzed a little water and blended over picket fence distress paint to tone the colours of the papers down a bit. 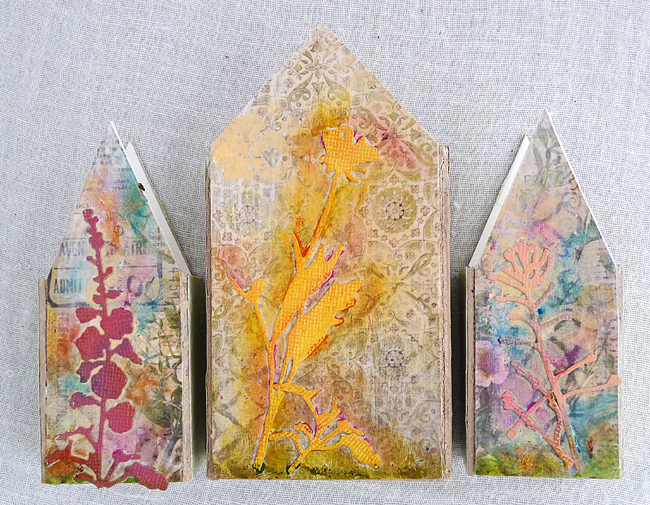 Then I used one of Tim's mini stencils to sponge through some dried marigold distress paint. 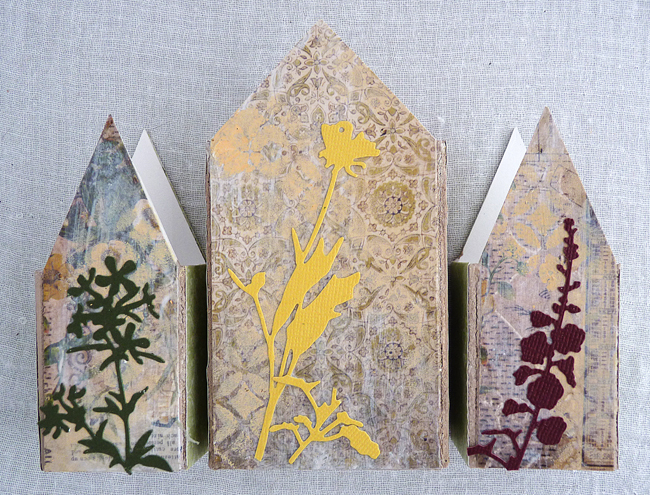 I stayed with the nature theme and added some of Tim's new Wildflowers thinlits on both sides cut from core'dinations papers. 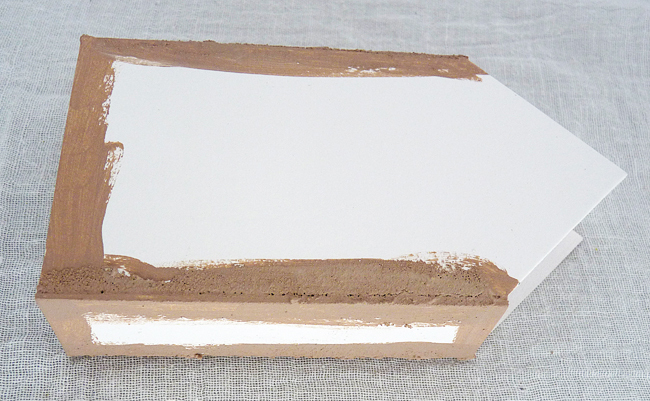 Finally before adding any embellishments I sanded and inked all the edges. The colours didn't have enough contrast with the background so I used black and white pens and painted some tinting base between the flowers and leaves then added distress markers over the flowers and foliage to strengthen the colour. 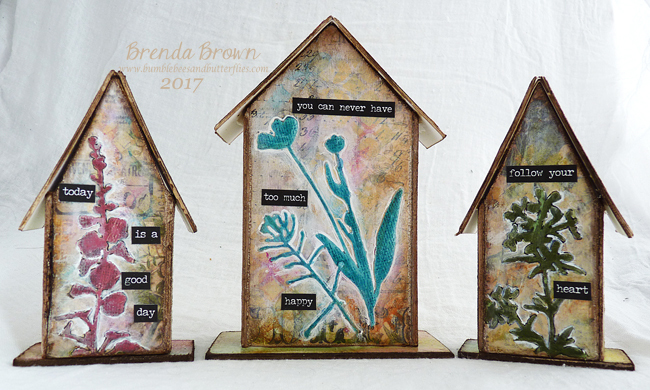 The small talk sayings are perfect to give some meaning to each little house and I painted some greyboard pieces to give them something to stand on. I hope you like my take on being inspired by Tim, it certainly gives me so much scope as I love so many of his products and playing with something new is always a treat. This village looks fantastic - I would love to live in one of those!!! Fabulous project. Love your little village. Great project. So cute! I like your houses, and the use of crayons did a lot to the project. What a beautiful village of spring you created! 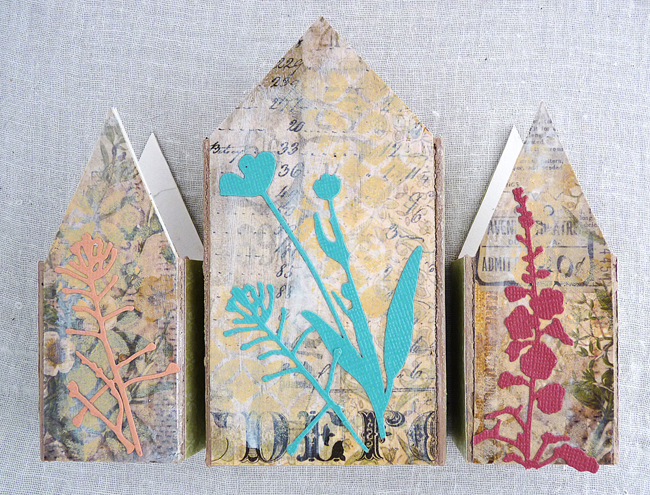 Love the tiny houses and how you created mini focal points for the die cut flowers. Beautiful in every way! 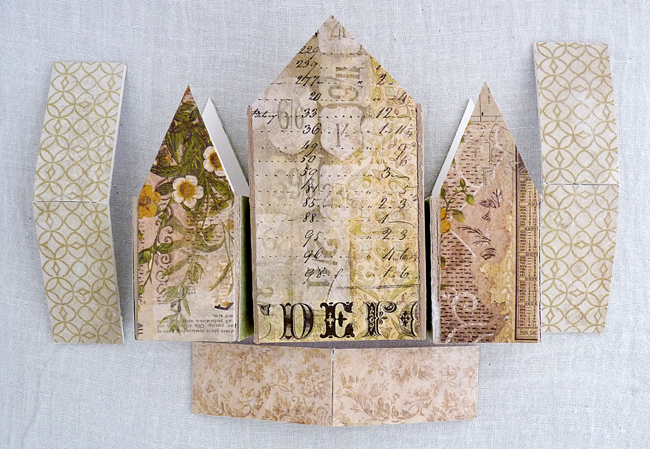 Wonderful project, Brenda! I love Tim's products! Your village of sweet little houses looks fantastic Brenda. 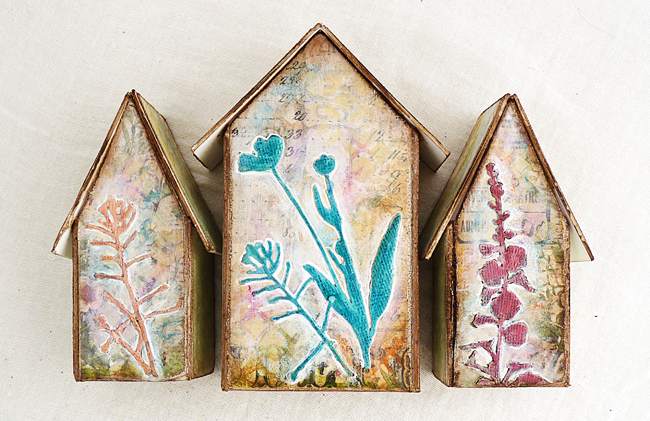 Gorgeous springtime details and I do like those new flower dies you used. 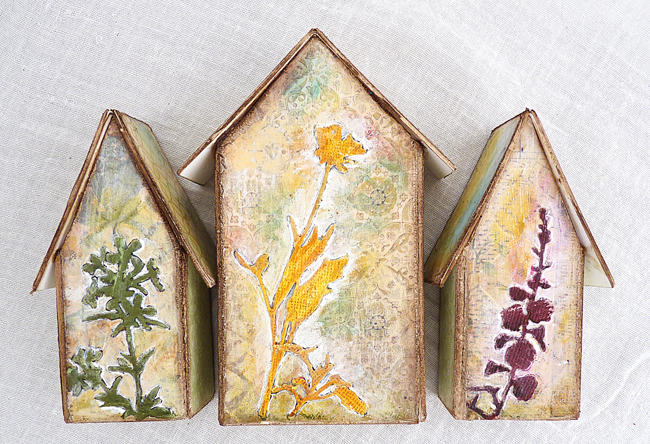 Your little houses are adorable. Beautifully decorated! 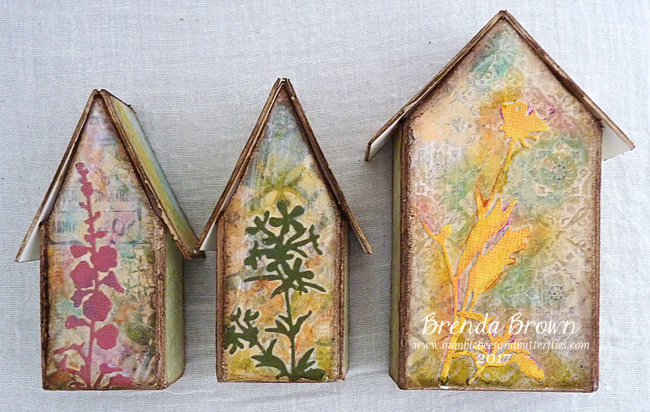 Charming flowery houses, Brenda - lovely inspiration for the theme. Oh, my goodness, Brenda! These tiny houses are just fantastic! I love how you've finished them! I thought I could resist this die, but now it is at the top of my list! I had a good chuckle at taking a walk while the product dried...I often have to force myself to do this, otherwise, I'll just continue to play and more than likely mess things up. Thank you for the inspiration! Hugs! 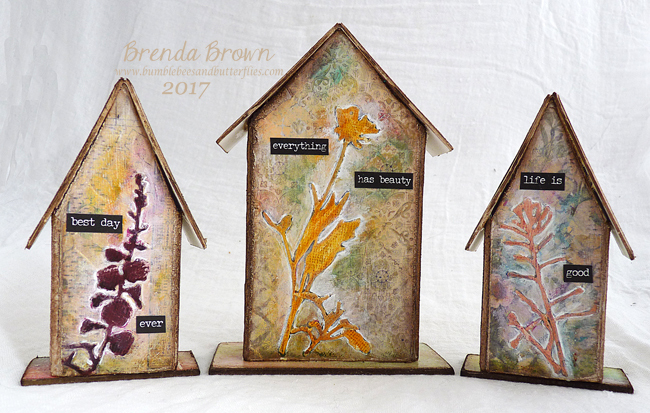 Hi Brenda...Dont you just love these houses x I have still to play with mine and I love what you have shared with us today. These are absolutely fabulous ! love them !